I've been working on a new guest book cover design this week. I recently received a custom order request for something vintage inspired in gray and white. Usually the first thing I do when I get a request like this is seek inspiration over at Google images. I love these three images that I found just searching under the phrase "gray white vintage"
This one really caught my eye with the yellow. 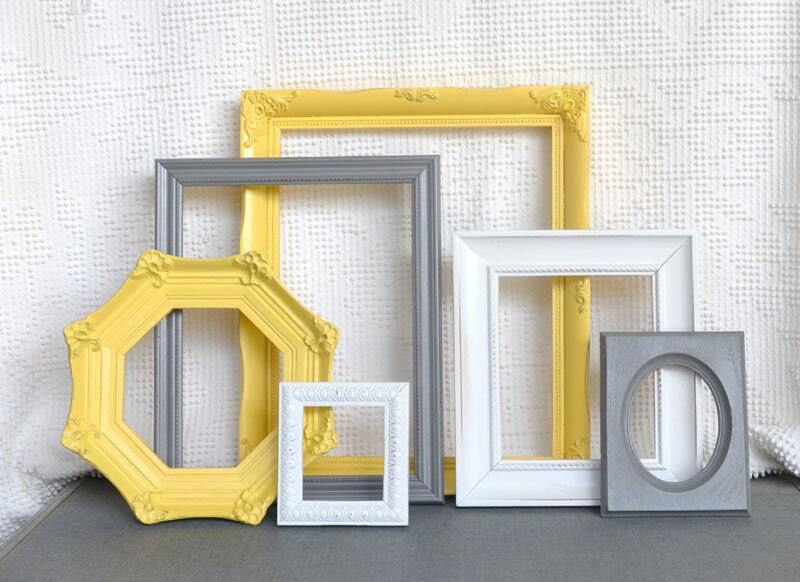 There's nothing more inspiring then vintage frames right? I' always looking for patterns of color when seeking inspiration for a new design. I really like the above pattern in gray and white, what a great background for a book cover or accent. Then there is this card box by a fellow Etsy artist. 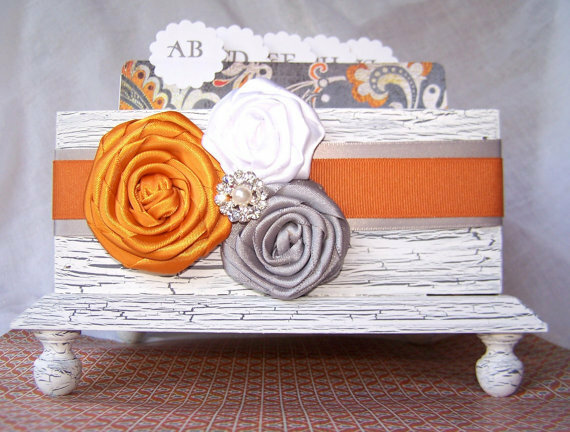 I like the shabby distressed look of the box and the little detail of the silver and pearl between the flowers. But I'm think with all the gray and white there needs to be a little pop of something. Maybe a color or something that just stands out.